Item # 312090 Stash Points: 6,495 (?) This is the number of points you get in The Zumiez Stash for purchasing this item. Stash points are redeemable for exclusive rewards only available to Zumiez Stash members. To redeem your points check out the rewards catalog on thestash.zumiez.com. 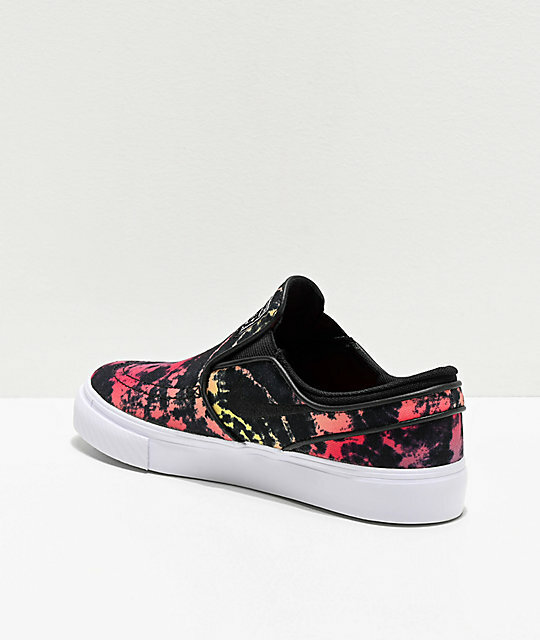 Complete your skate-inspired outfits with psychedelic styling with Nike SB's Janoski Slip-On Black, Red and Yellow Tie Dye Skate Shoes. 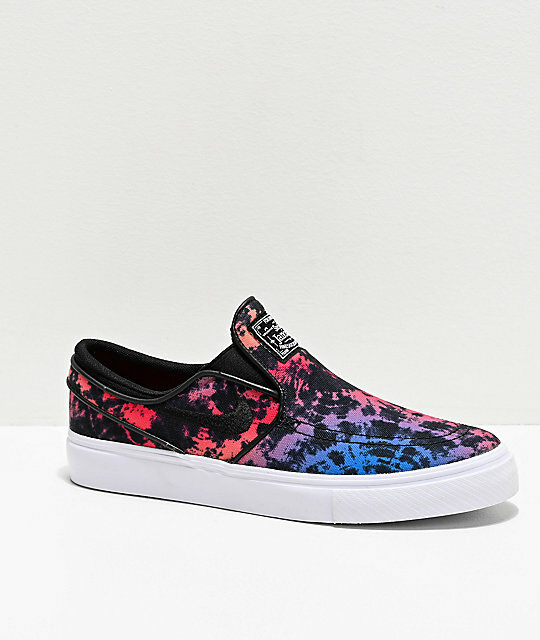 These vibrant sneakers mimic the original iconic Janoski design while upgraded with the convenience of not having laces. 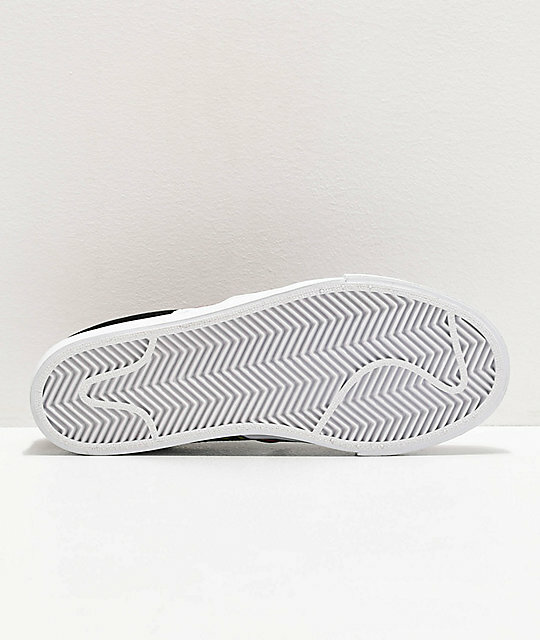 Made with a lightweight canvas upper, vulcanized construction, and a grippy herringbone tread along the bottom for crucial grip, these shoes were bred for skateboarding performance. Great for skating and easy to dress up or casually down, the Janoski Slip-On is a versatile addition to any wardrobe. 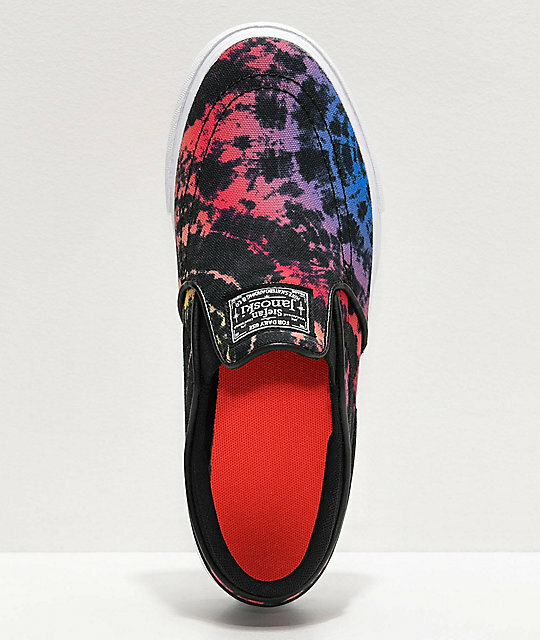 Janoski Slip-On Black, Red and Yellow Tie Dye Skate Shoes from Nike SB. Breathable soft textile lined interior.